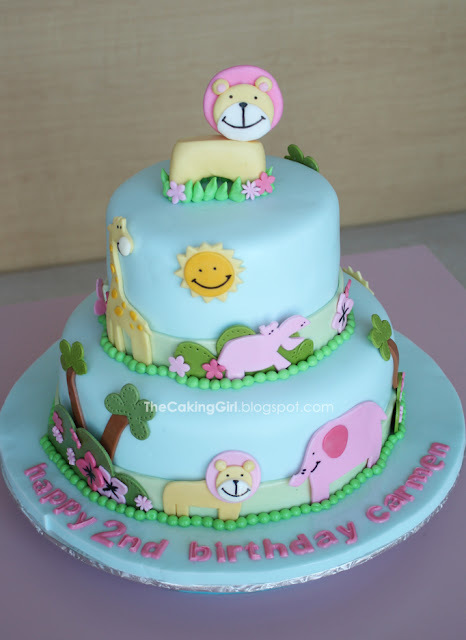 This was a cake made for a little girl's 2nd birthday celebration. I didn't come up with the design actually, my friend had sent me an image she found online and I made a replica of the 2 tier cake. 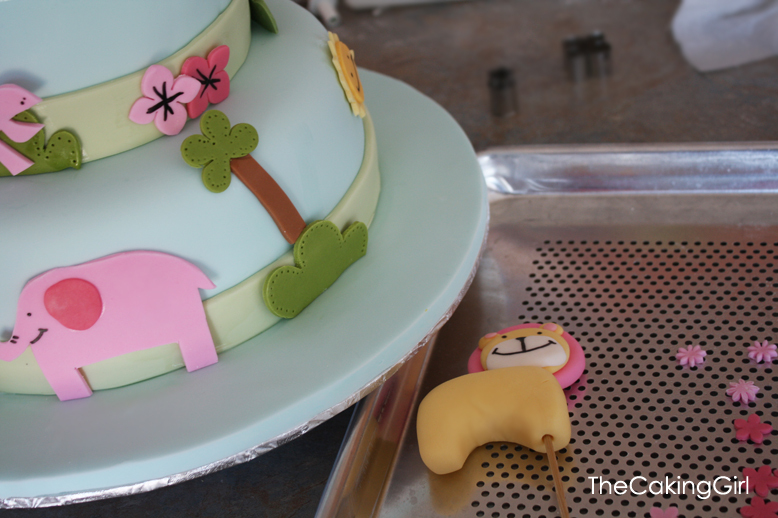 I cut out all the shapes first before icing and covering the cake with fondant. 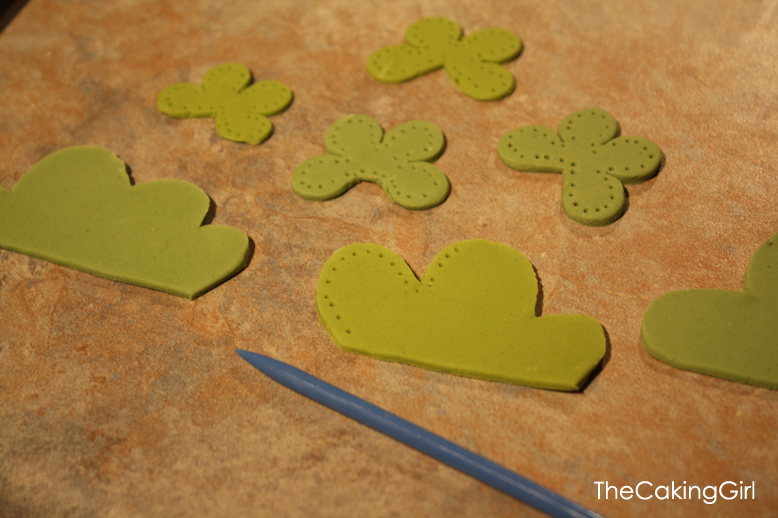 It gave it some time for the 2D fondant shapes to harden. 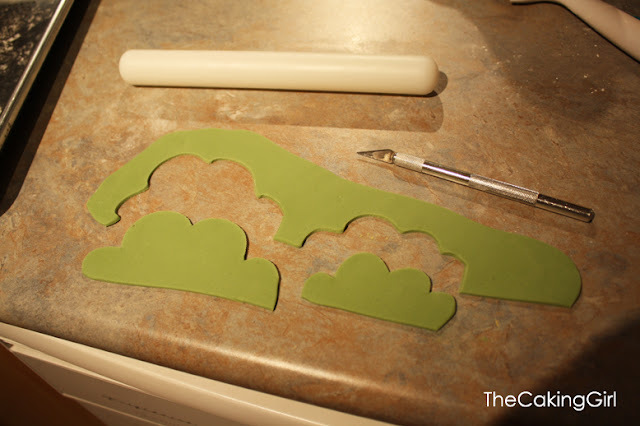 With this kind of "cut and paste 2D shape" style, the fondant is easier to work with when it's a little hard. Make sure you poke the dots immediately after you cut the shape, if you allow the fondant to dry a bit before dotting it, it can crack. 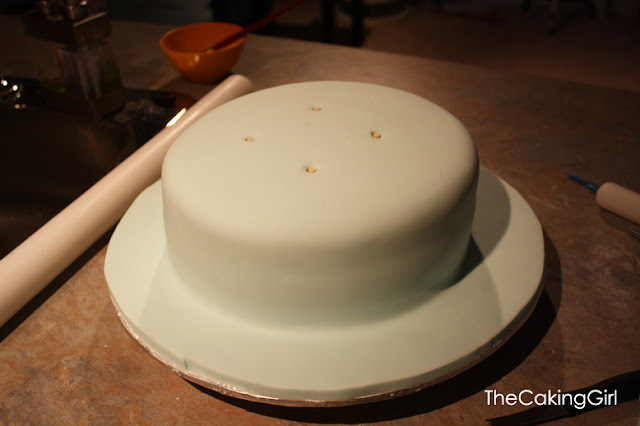 Rolling out the light blue fondant to cover the cake. 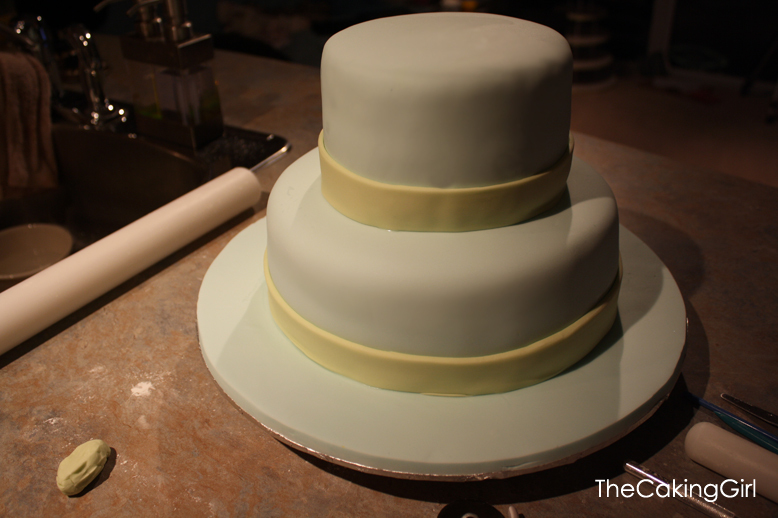 Inserting the dowels for support inside the cake. The second tier is on. 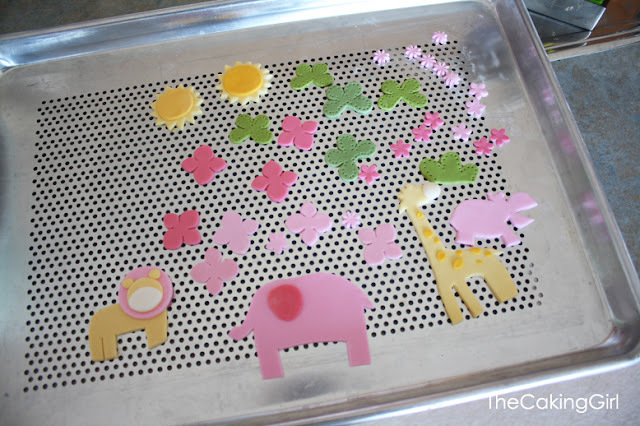 Cutting the animals free hand. I had recently bought myself a second exacto knife. 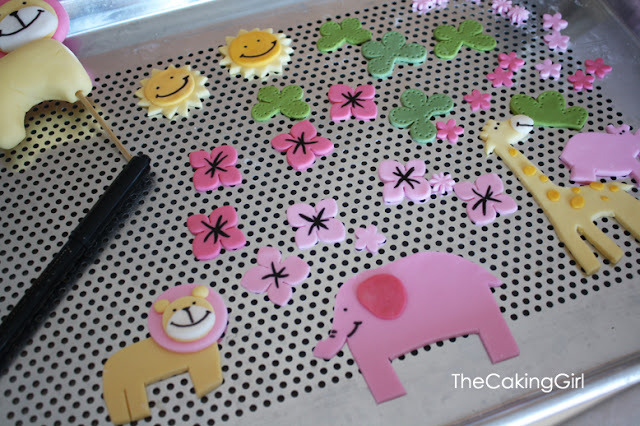 It made life so much easier, I should've bought two when I first started making cakes. 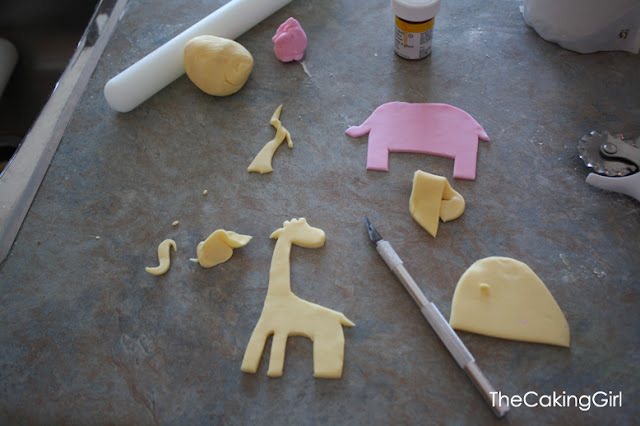 I had kneaded in gum trach powder into the coloured fondant, so they were drying almost three times as fast, I should've worked with one colour first, when I had all my shapes cut out with the yellow.. the pink was already too hard to work with by the time I was done with the yellow. 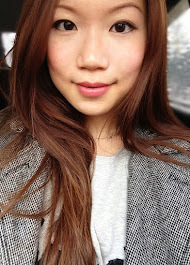 Next time, one colour at a time. If there's a faster way to cut small triangles, let me know. There has to be a faster way! All my shapes are ready to be 'glued' onto the cake. 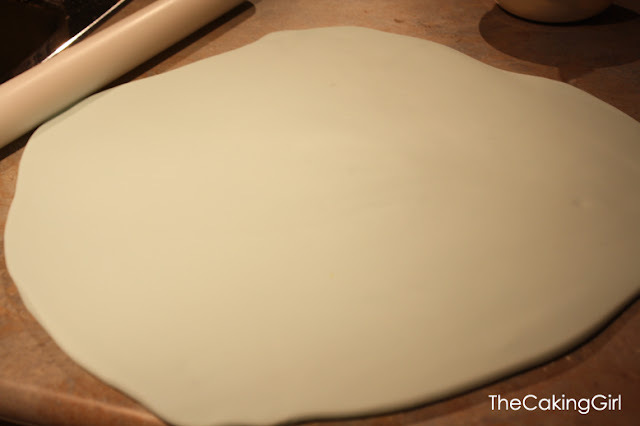 Don't let the shapes harden/dry too long, they had to be hard enough to use, but still soft enough to bend without cracking. 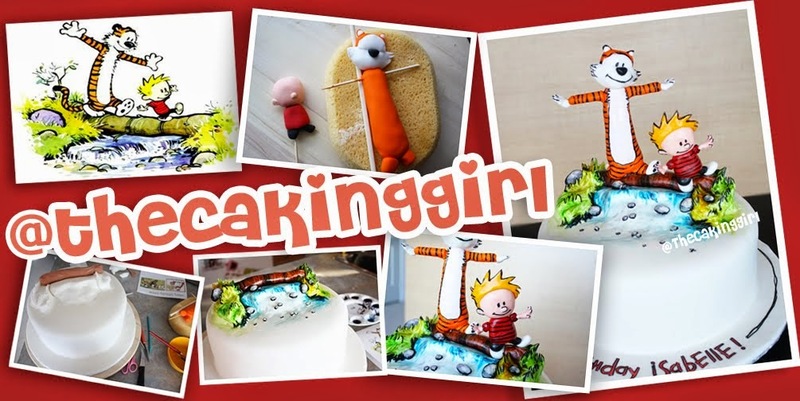 They had to be 'glued' onto the cake with a slight bend to hug the cake. Edible black marker to draw in the details. 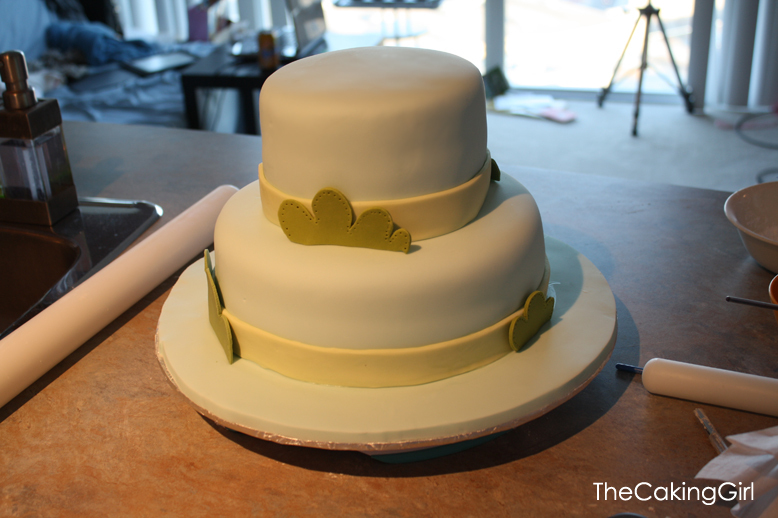 The cake is coming together. 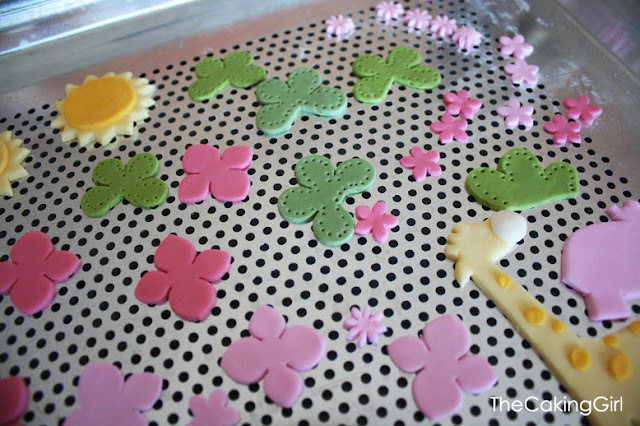 All the fondant decorations are on. 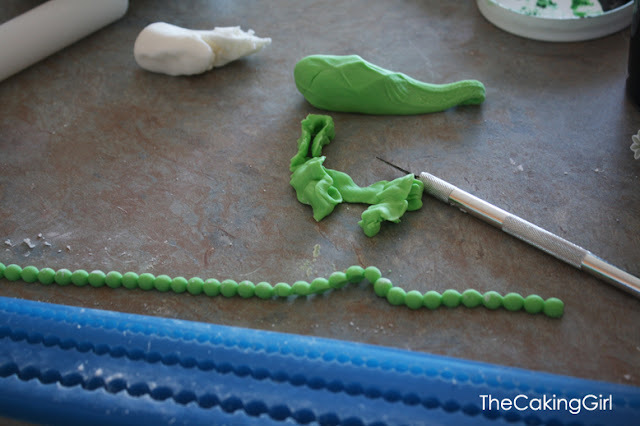 The final touch, a green beaded border. This mold is a life saver, I used to spend an hour rolling mini balls haha. 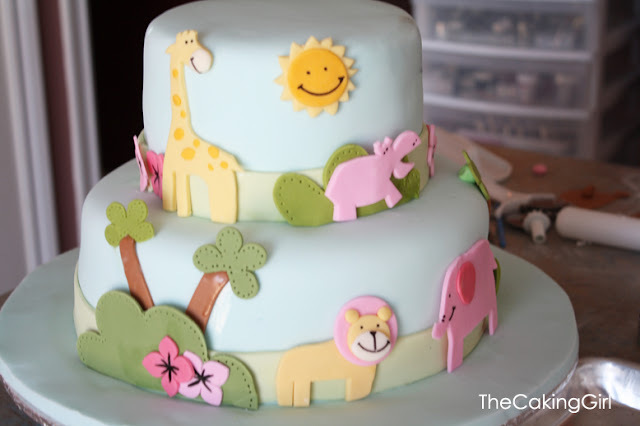 but this cake is cute, and it did give me new ideas to cake design. hey, I love your work. They are very beautiful. I make cakes at the side too and is wondering where you buy your gum trach powder? 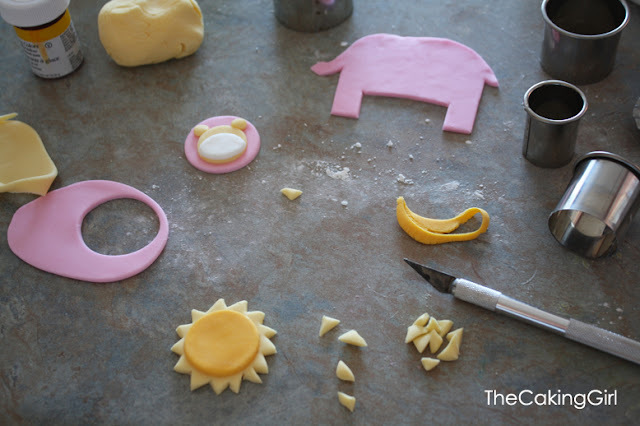 Did you make your own fondant out of marshmallows too? That beaded border mold is awesome! where did you find that? Keep up to good work.Thanks!